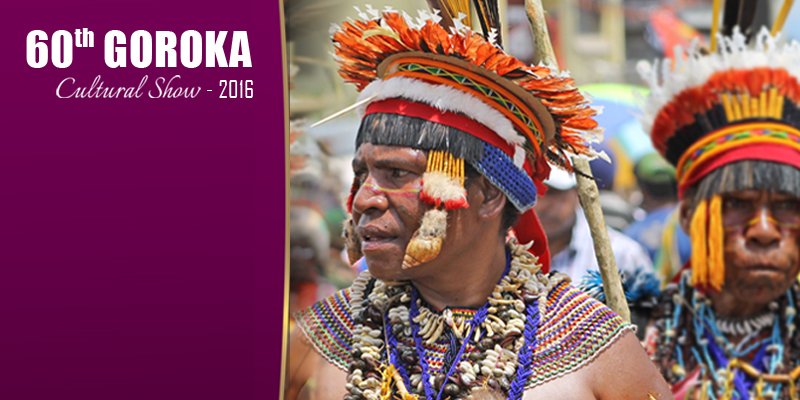 The 60th Goroka Cultural Show is set for the 16th – 18th September 2016. The Goroka Show is a famous cultural event held in Goroka, the capital of the Eastern Highlands Province. The annual Goroka Show was first introduced and organized by Australian Kiaps in 1957. The Goroka Show celebrates its 60th Anniversary in this year, 2016 and is set to be an even more fabulous event complete with fireworks and enjoyable activities for the entire family. It is an opportunity for our visitors to experience the diverse cultures spectacularly adorned in an array of colours. Goroka Show delivers an insight into some of Papua New Guinea’s traditions and is a must for visitors. So don’t miss out this exciting cultural event.